The Super Bowl is fast approaching and it’s time to prep that game day menu. Let’s face it, for some of us football isn’t that exciting to watch, but what we do get excited about is eating multiple delicious snacks while sitting on a comfy couch — we’re not game day sports-bar kind of gals. 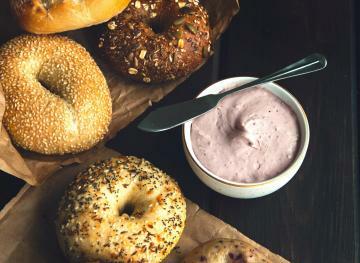 Although Super Bowl viewing parties are usually used as an excuse to eat a bunch of amazing junk food, you shouldn’t miss out on the fun just because you’re trying to stick to your New Year’s healthy diet. These seven game-day recipes are both nutritious and delicious. What’s more, they’re all easy to eat with your hands so you won’t have to worry about using a bunch of plastic cutlery (the environment will thank you). Ordering pizza is a staple occurrence at Super Bowl viewing parties. But if you’re trying to keep your New Year’s healthier eating resolution, pizza isn’t the best choice. This portabello mini pizzas recipe from Food Heaven Made Easy has all the cheesy deliciousness of pizza without the refined carbs. 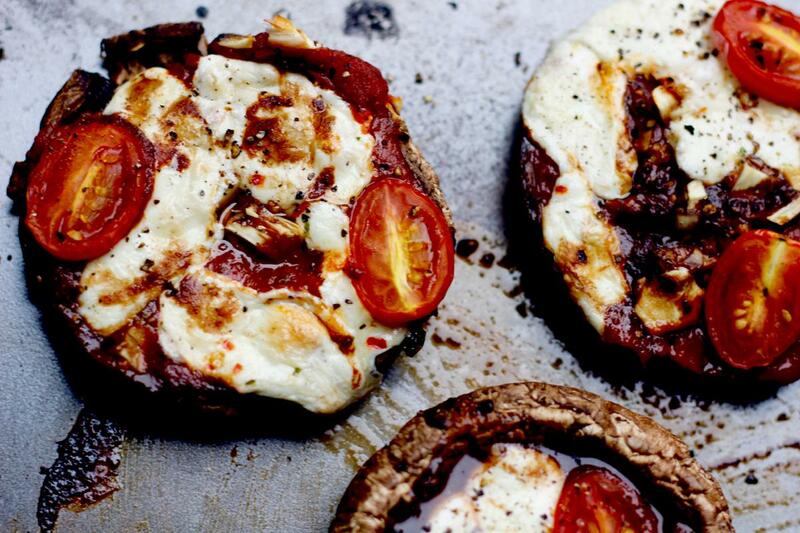 Portabello mushrooms are stuffed with mozzarella cheese, tomato sauce, cherry tomatoes, garlic and balsamic vinegar. Prep one for each of your guests, stick them in the oven for 20 minutes and voilà — you’ve just created the perfect gluten-free portable snack. If you use store-bought tomato sauce and you’re catering to a gluten-free crowd, just make sure that the sauce doesn’t contain any hidden gluten. What’s a Super Bowl party without cheesy dip? Not one that we’d want to attend. 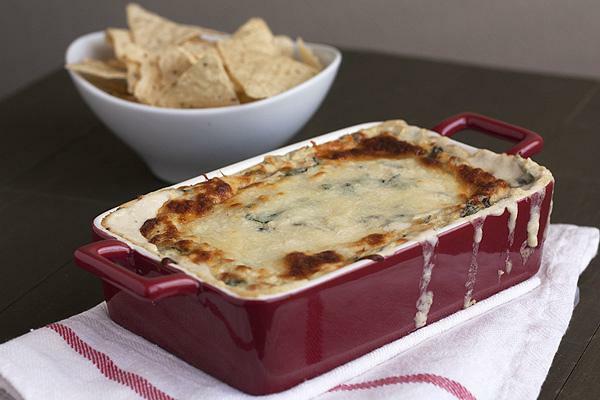 By definition, most cheesy game day dips are on the heavier side, but this Hot & Light Spinach-Artichoke Dip (recipe by Handle the Heat) cuts down on the calories without losing flavor. To make this lighter version of OG spinach-artichoke dip, this recipe uses low-fat mozzarella, reduced fat cream cheese and reduced-sodium chicken broth. Serve it with whole grain pita chips and veggies. The recipe yields 12 servings. Bring more veggies to the table at this year’s Super Bowl party with this sun-dried tomato and whipped feta stuffed mini peppers recipe from Destination Delish. 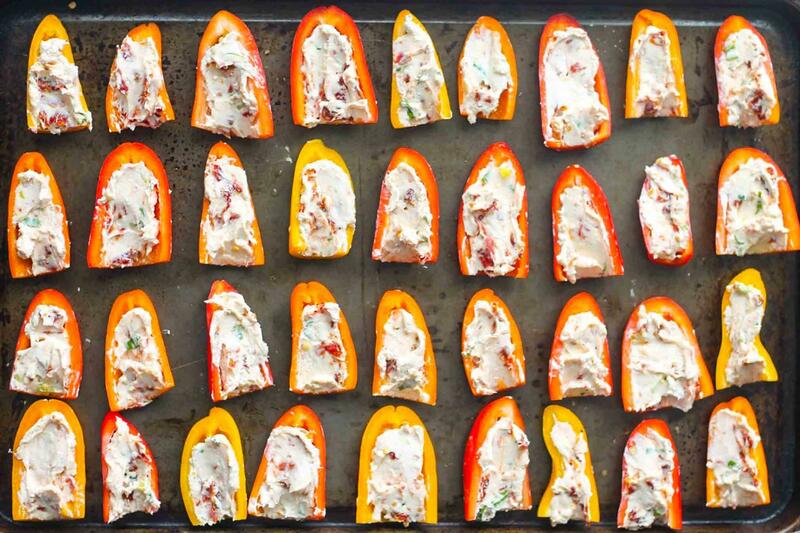 The filling for these multi-colored mini bell peppers is made with feta cheese, cream cheese, chopped sun-dried tomatoes, green onion, garlic and topped with herbs. 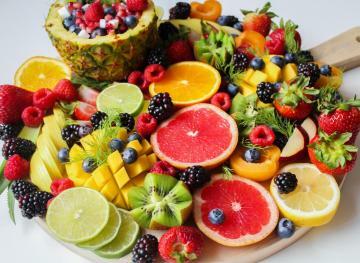 You can serve this healthy snack cold or warm it up by popping it in the oven for eight to 10 minutes. Instead of simply pouring store-bought classic potato chips into a bowl come game day, consider making this baked sweet potato chips recipe from A Spicy Perspective. Sweet potatoes are super nutritious and packed with filling fiber, so you’ll be satisfied with less compared to regular potato chips. 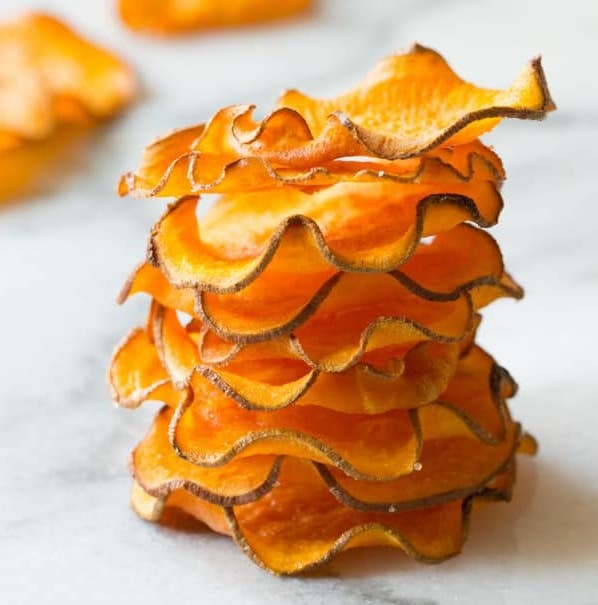 You’ll only need three ingredients to make these sweet potato chips: whole sweet potatoes, olive oil and salt. Within 30 minutes tops, you’ll have crispy salty-sweet chips to serve alone or with your favorite dipping sauce. If you have vegan guests coming over, you may want to make a batch of these vegan cauliflower buffalo wings in addition to or as a substitute for the real deal. This faux buffalo wings recipe from Food52 uses buffalo wing hot sauce to give cauliflowers that meaty, juicy taste. 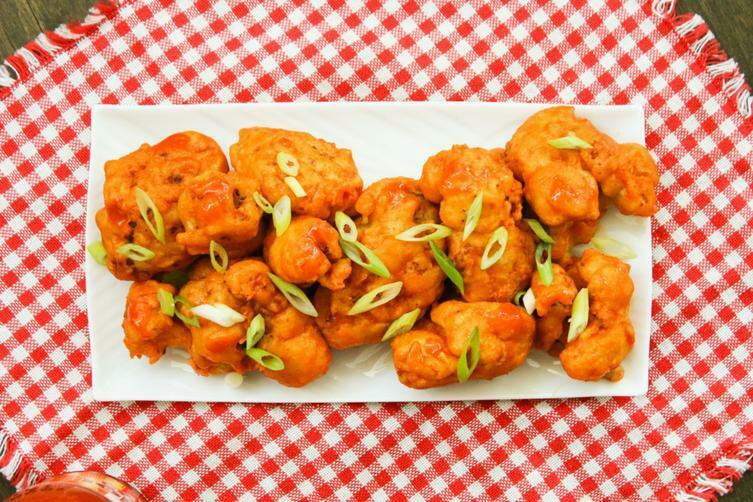 You’ll only need six ingredients to make it: cauliflower, chickpea flour, rice flour, red chili powder, buffalo wing hot sauce and scallions. This recipe serves two to three people, so scale up on the ingredients if you’re expecting a bigger crowd. Make healthier nachos on game day with this vegetarian nachos recipe from A Beautiful Mess. 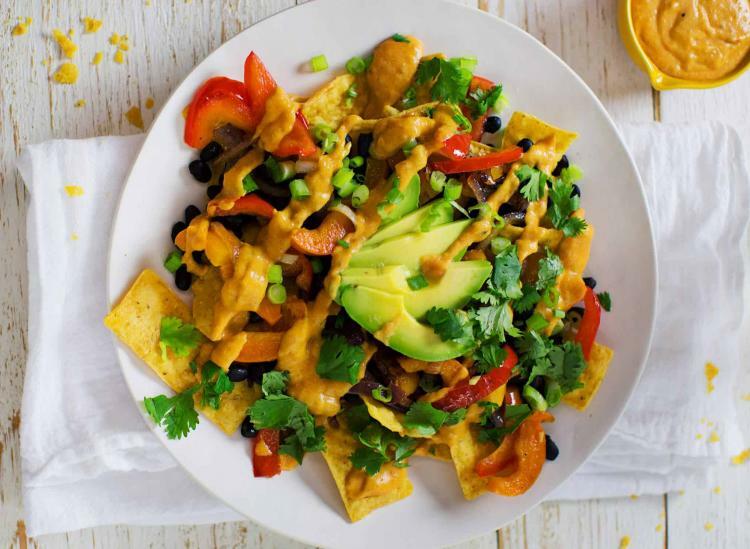 The nachos are loaded with nutritious veggies like avocado and mini bell peppers and topped with vegan “cheese.” This vegan “cheese” is made using small red potatoes, nutritional yeast, lemon juice, olive oil, chipotle pepper in adobo sauce, garlic powder, onion powder, mustard powder, cumin, water and salt to taste. Use your favorite 100 percent corn or whole grain tortilla chips for a guilt-free Super Bowl snack that appeals to all. 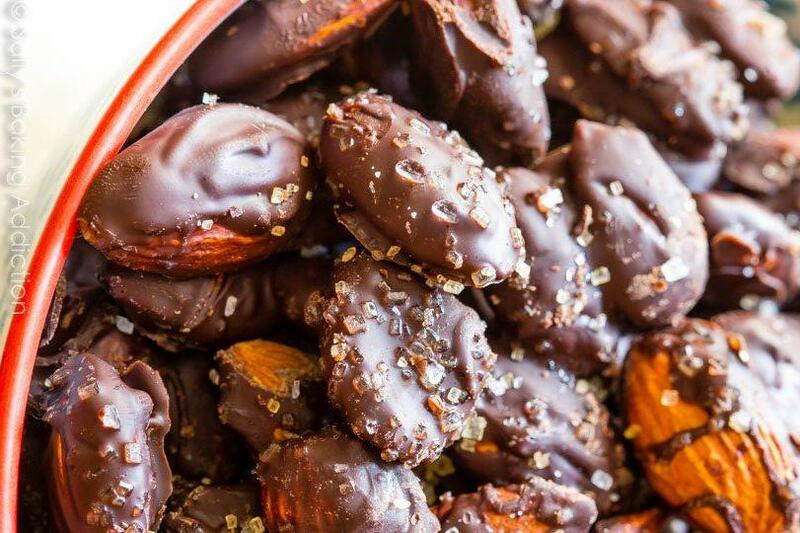 Add a little sweetness to your Super Bowl snack lineup by making this delicious dark chocolate sea salt almonds recipe from Sally’s Baking Addiction. You’ll only need four simple ingredients to make these sweet-and-salty, chocolate-covered almonds: bittersweet or semi-sweet high-quality baking chocolate, a bag of raw and unsalted almonds, sea salt and sugar. 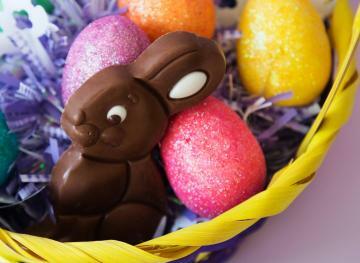 Melt the chocolate, dip in the almonds and add sea salt and sugar to the final product. You can prep this easy snack in just 25 minutes.